Reviews by Paul Vnuk Jr. In our April 2009 issue, Justin Peacock reviewed the 583s preamp, designed by Scott LaChapell of aptly named LaChapell Audio. Justin was very impressed with its sonic character; he described it as a “big, wide and clear sound” that also had “fantastic depth and width,” even “Mojo”. At the time, the 2-space 583s was the very first tube mic preamp available for API’s 500 Series. Its biggest innovation was Scott’s DC-to-DC converter, which converted the API enclosure’s supplied 16V power to AC, stepped it up to 250V, and converted it back to DC, making a high-voltage tube preamp design possible in a 500 Series module. Hot stuff… literally! 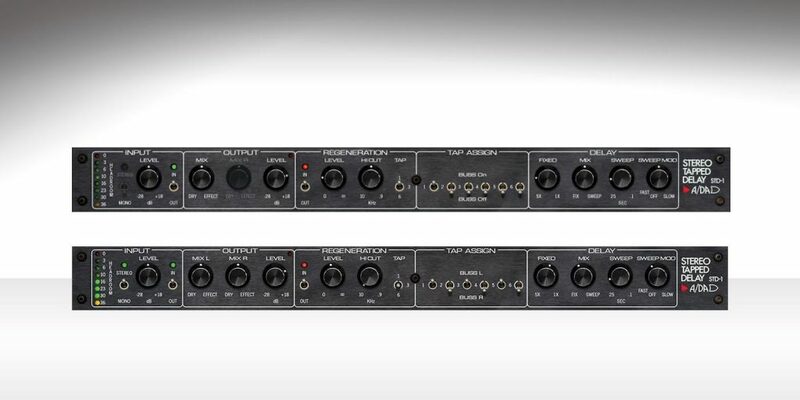 Fast forward to 2018, and Scott has updated the 583s to a mk2 preamp design. It still makes use of Scott’s step-up converter, but now fits into a single-space 500 Series module. The same is true its brand-new sibling, the 500TDI Tube Direct Box. I had a chance to work with them both for several weeks, and was easily as impressed as Justin was! Like the first-generation 583s, the new preamp’s origins can be traced back to the LaChapell 992EG, a 3U 19″ dual-channel tube mic preamp. The look and design of the 583s mk2 features the same brick red finish and “brick house” build as the rest of the line, with a pair of large semi-stepped control knobs for input/tube drive and output. There are a trio of toggle controls for 48V phantom power, –20 dB pad, and phase invert. The unit is rounded out by a 1/4” Hi-Z input and a green 250V LED indicator. The unit is front-vented and also offers a small black pull handle. This is the exact same feature set found on the original 583s, although that unit had a switch for the 1/4” instrument input while the mk2 is auto-switching. Internally the 583S mk2 makes use of a Jensen JT-115K input transformer as well as both Burr-Brown and THAT Corporation balanced line drivers. It has aCinemag CMOQ nickel alloy output transformer and uses a full-size 12AX7 tube. Some specs: Internal gain 0 to >70 dB, THD+N 0.25% (variable), frequency response 12 Hz–70 kHz, maximum output +26 dBu, Typical EIN –121 dBu, and input impedance 1.5 kΩ. In non-tech speak, this translates to an exceptionally solid preamp that can cleanly handle any and all microphones—from typical condensers to low-powered fare like old-school ribbon mics and low-output dynamics like the Shure SM7. 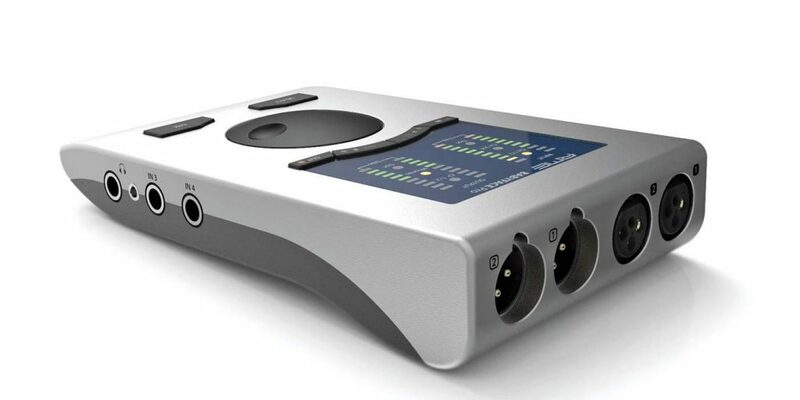 I put the 583s mk2 to use the day it arrived, tracking an acoustic guitar and vocal session with the new Manley Reference Silver tube mic (reviewed February 2018). I know some readers occasionally fear the double whammy of tube mic into tube preamp yielding too much tube color. That’s not a concern here, as part of the magic of the 583s mk2 is its broad throw of tonal adjustment. It’s all derived from how hard you push the input into the output. At low input settings and high output settings, this preamp is ultra-clean, and thanks to its high output and headroom, offers little color short of some opulent top-end fairy dust. If you are using a high-output condenser, the pad switch sounds like it’s pre-input; it can drop the signal further, adding to the clean headroom of the unit. …do you like it dirty? However, if you want things thickened, this box can drive with the best of them… from a sweet, feathery-smooth overdrive, all the way up to full-on buzzy distortion. This isn’t a pedal-style distortion, but a controlled, circuit-driven console channel distortion. In between the clean and dirty are many shades of added weight and thickness that give the unit a classic tube console sound. I will say it’s more of a German Telefunken-style tube console tone, vs. an American Bill Putnam 610-style sound. To my ears it’s a solid even-natured tone; in other words, nothing sounds too forced or pushed—it just sounds classy and classic. 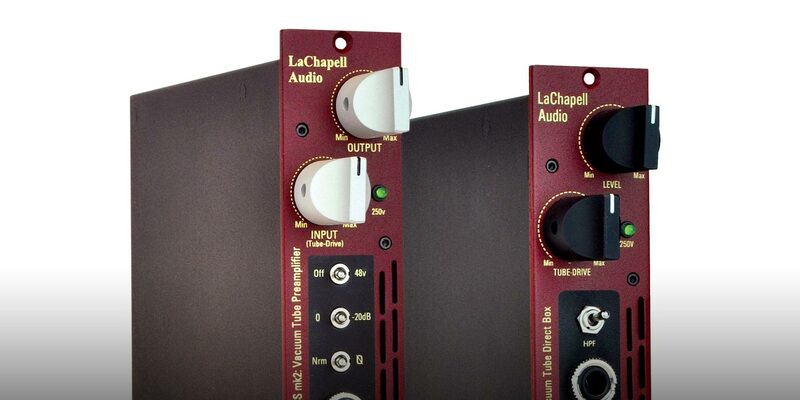 The newest piece in the LaChapell line is the similarly-styled 500TDI, a 500 Series tube interface for the direct injection of instruments—most typically bass, but also electric guitar, some acoustic/electric guitars, and even synths and electric pianos. Visually it shares a layout with the preamp, although its input and output knobs are black. Instead of a row of toggle switches, you get a single toggle switch that engages a highpass filter to get rig of low rumble. There’s a pair of 1/4” Hi-Z jacks; the top one is the input, and the bottom is a Thru to send signal on to an amp or pedals. Note that the Thru can act as a parallel low-impedance input if needed. The big thing to be aware of is that this is a tube DI unit, not a line-level box. It can be used to direct inject instruments into your mix, but like a true DI, it also loves being used in front of a standard microphone preamp… like the 583s mk2! It’s a very clean design with zero ICs in the audio path. It has a transformerless input and a transformer-balanced out, and makes use of a 12DW7 (ECC832) tube. It offers 24 dB of gain, THD+N 0.10%—25% (@+2 dBV), an 8 Hz–28 kHz frequency response, an EIN of –100 dBu, and an input impedance of 1.5MΩ—high enough for most instruments aside from the most finicky piezo pickups on acoustic instruments. The best word that comes to mind with the 500TDI is solid. It yields a strong clear capture of the source, but it’s not clinical, boring or anemic. Like its mic pre cousin, you have full control of the tube saturation, so it can move from clean to smooth and gently sweet at the twist of a dial. If you want channel drive, this is where you would want to place the 500TDI before another preamp. If you know you will be re-amping the signal, it works best on its own. One mistake I often encounter with many instrument tracks recorded through the inputs on many microphone preamps is that it’s too easy to to slam the signal as hot as possible into the DAW. This can cause issues if you decide to re-amp, whether in the box through plug-ins, or worse yet, back out into an amp and external pedals. 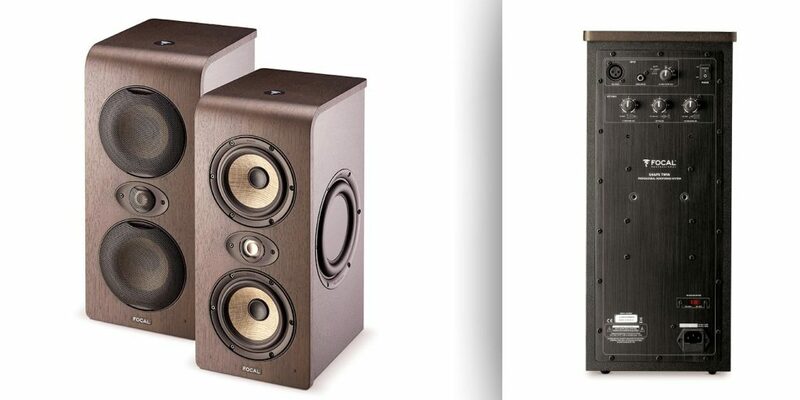 With the 500TDI on its own, even signals pushed to the max from a bass or guitar are never overbaked or too loud. I used the 500TDI with my Rickenbacker 4003 bass, a 1970s Rhodes MKII electric piano, and a Fender Telecaster. In each case I was very pleased with the results, both in its own or even before clean preamps like a Millennia Media HV3D. If you want darn near set-it-and-forget-it, great-sounding direct instrument tracks that require little fixing or diddling around, then it’s the 500TDI all the way. LaChapell should consider making a standalone DI box version, as this could make a great live rig box. It’s great to hear new devices and hear new sounds from the tube wizards at LaChapell Audio; both of these boxes are seriously impressive!